I can’t say I enjoyed crossing the Ecuador to Peru border at 2 o’clock in the morning but that’s how it happened on our journey to Mancora, Peru. 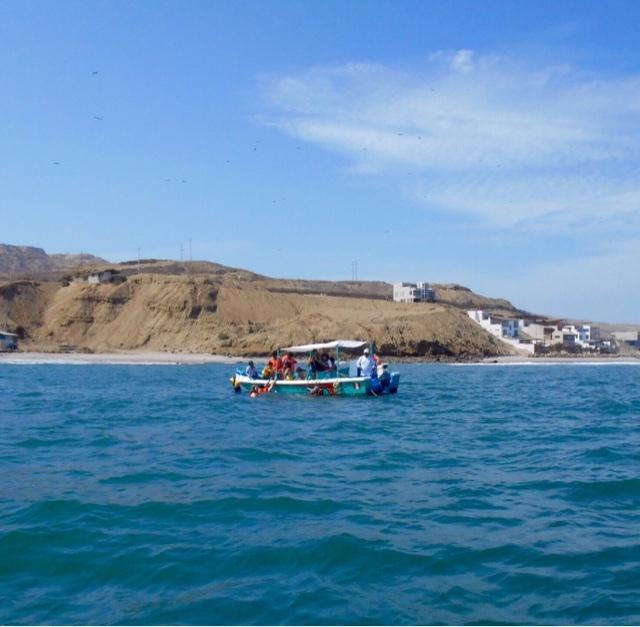 We misplanned our journey from Guayaquil in Ecuador to Mancora Beach in Peru and much to our dismay from Guayaquil, the last town on the Ecuador side of the border, the big scheduled busses only transit at night. This means you’ll arrive on the sketchy outskirts of Mancora beach at the delightful time of 4.30am. We spent a long day in Guayaquil, Ecuador – visiting the Iguana Park and shopping for supplies. The big busses that cross the border into Peru from the main bus terminal in Guayaquil leave at specific times. Keep this in mind for doing the crossing. We arrived and had missed the busses and had to wait until the evening to book and board or border crossing bus. The bus station in Guayaquil has lockers for your bag and is big enough for you to kill some time. We took the public transport for $1 into the city to do some exploring and visit the famous Iguana park. We arrived back at the station for some food in the food hall – Veggie and Vegan options limited but good value for around $4 per person for large portions and a drink. The border crossing from Ecuador to Peru from Guayaquil happens at night and coach-loads of travellers queue at immigration at around 2am to get their passport stamped, it can be long and frustrating especially when you’re half asleep. The bus itself costs $30 first class and should take between 8 and 6 hours. Meaning you’ll arrive sometime between 4 and 6am. Picture this – It’s 4:00am, dark and sketchy we’ve just arrived in Mancora, Peru and have no idea how safe or dangerous the area is. We’re still with our group from Cali in Southern Colombia and Drew and Jessie. We used our Lonely Planet to select a hostel and we chose to stay at The Point. We take our chances and tuk-tuk directly to our chosen hostel on the beach. We had heard stories about safety and were concerned knowing we would arrive in the early hours so picked out a hostel in advance. Travel blogs often help when picking hostels and I always try to read up on other travellers recommendations before deciding on a place to stay. Wifi permitting. The Point Mancora Beach was a recommendation we had been given and on first sight we loved everything about the place. We check in to The Point after a few stolen hours on a sun lounger by the nice pool only to later move into our rooms and find it to be the most bedbug infested hostel in all of Latin America. ✓ Warning: Stay clear of ‘The Point, Mancora Beach’. It really isn’t worth the hype and the manageress is extremely rude and unwelcoming plus bedbugs are not good for backpackers! 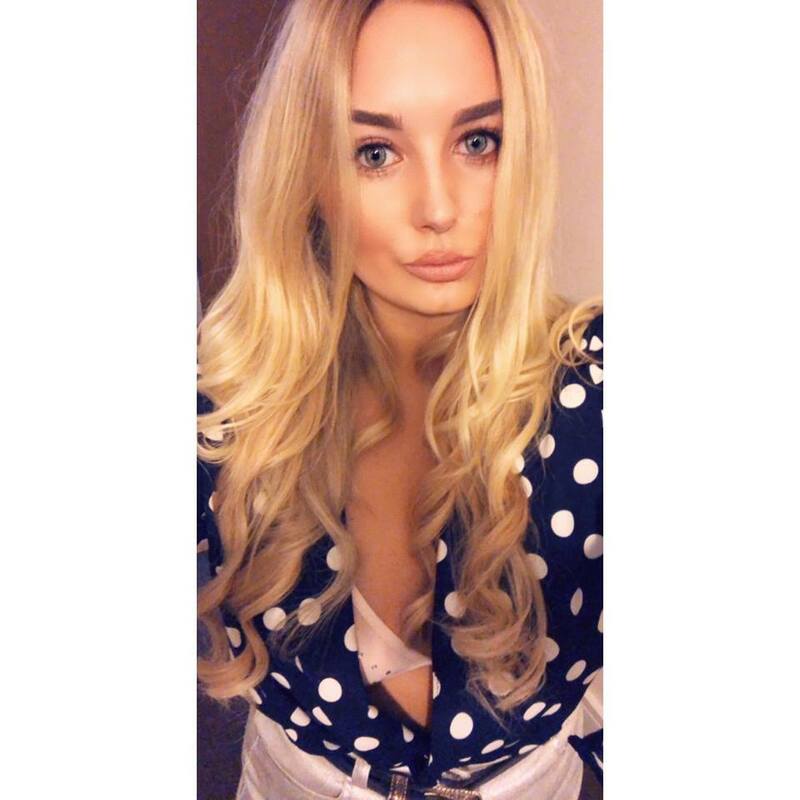 If you wish to avoid a similar experience to the one we had at The Point then I definitely suggest you head straight to Loki, Mancora and avoid The Point Mancora completely. I won’t bore you with all the details but there’s a strongly worded Trip Advisor review under my name if you’re interested in reading about the full ordeal. When arriving in Mancora, head straight to Loki Mancora aka. 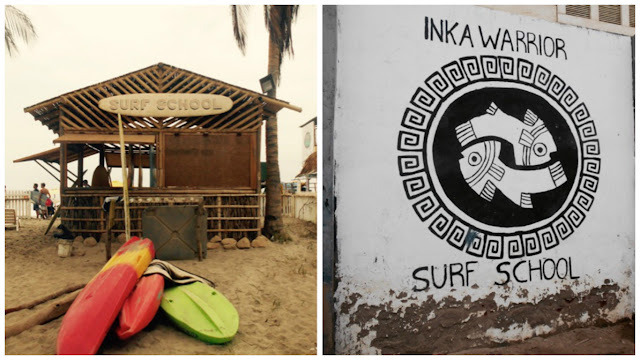 Loki del Mar, the budget and backpacker friendly hostel chain that can be found throughout Peru. After staying at Loki Mancora and having an incredible Loki experience we went on to stay at 3 other of the Loki hostels throughout Peru and Bolivia. They are what backpackers in Central America refer to as part of the ‘big three party hostel chains’. Loki is the perfect hostel for backpackers on a budget looking to have the perfect South American traveller experience. You’ll meet a bunch of other travellers staying at the hostel chain and automatically find yourself involved in fun and activities. Situated on the main street in Mancora, in a much safer location than The Point. You’ll be able to find Loki del Mar very easily from the big wooden gate entrance. Loki del Mar everything you’d expect from a party hostel with a lot more. The actual hostel itself is gated and only guests can get in, or people can purchase day passes to enjoy the facilities. There’s a great big pool, clean dorms, a fun bar and beach access from the hostel. Loki del Mar reminds me more of an all inclusive resort, a little less fancy, but an all inclusive resort nonetheless. At Loki in Mancora you can expect daily and nightly events and activities, most involve a lot of fun and alcohol. It’s likely you’ll hear the word ‘blood bomb’ more than once during your stay at the Loki hostel chain. 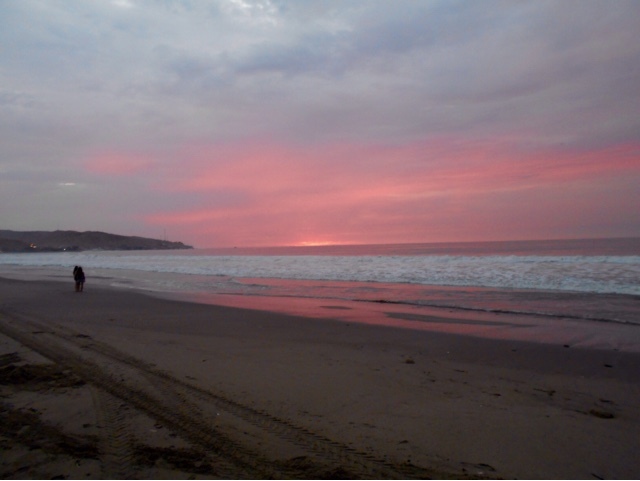 Mancora is on the northern coast of Peru and the gateway to an area known as the ‘Egypt of the Americas’. because of the all the sand. 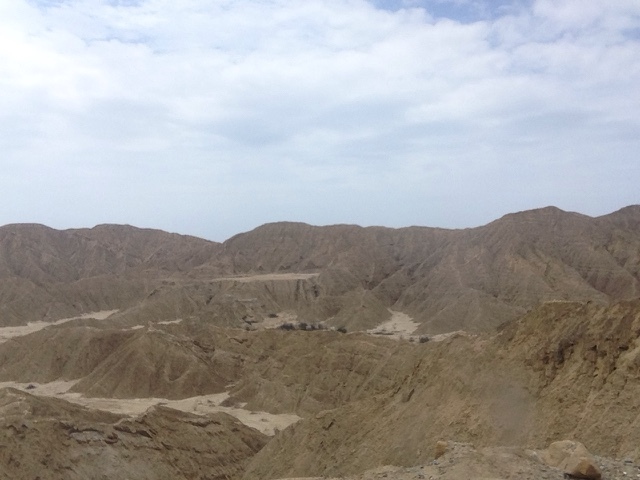 The Pan-American highway cuts down the Peruvian coast and through this desertscape, making it the perfect starting point for our 17 day expedition down the coast to Lima. 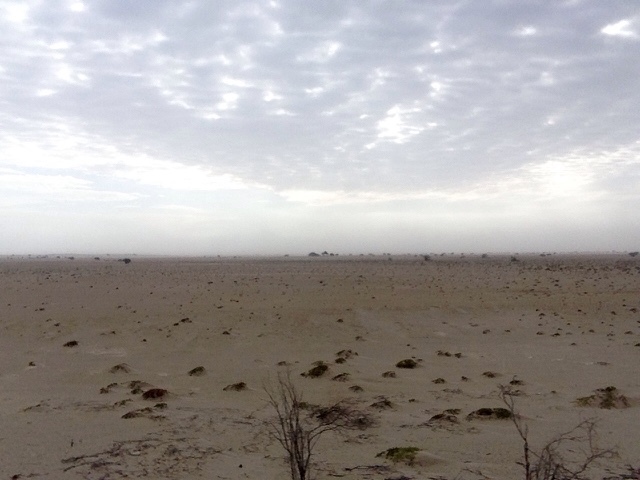 Our plan was The Sechura Desert along the Pan-American highway from Mancora all the way to Lima. It’s quite a distance to cover but the best tactic is to do it in small journeys spending time in selected destination along the way. Mancora became our first coastal stop in Peru of many. We’d been advised in Ecuador that Mancora would be a let down after the wild and weird Montañita but we’re not ones to pre-judge a place and still chose to visit Mancora as our first stop in Peru. There were rumors in the air of robberies on the beach at night and dodgy tuk-tuk drivers ripping off unsuspecting tourists after a few drinks. We heard stories during our time in Mancora too and although we didn’t experience any crime try not to walk around with valuables at night. 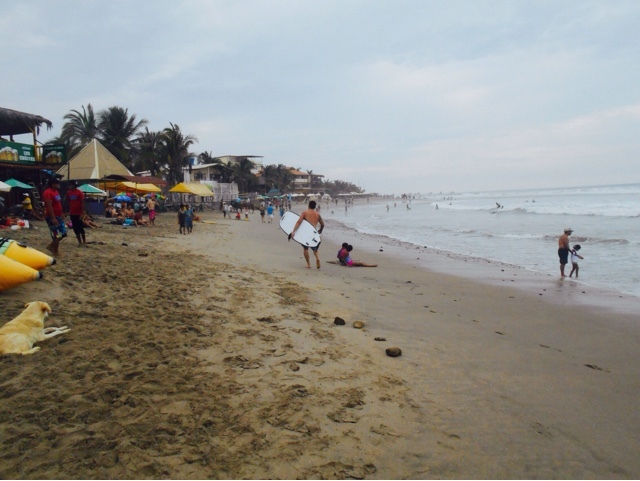 Mancora Beach is good for surfing, as another Pacific Coast surfer hot spot we could watch the surfers and the swells from the safety of the beach. There’s beach access from Loki Mancora and the hostel itself is in a prime location for those looking to surf and enjoy the beach nightlife in Mancora. Mancora is also a popular destination for ‘turtle tours’. I’m very conscious of exploiting animals for tourism and would never write about something I thought was unethical towards animals. 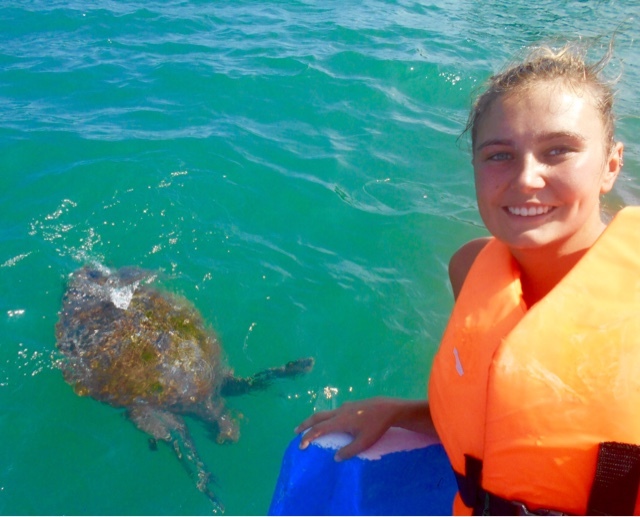 During our time in Mancora we had seen multiple advertisements selling turtle tours and we took some time to inquire at a few places to weigh up what a ‘turtle tour’ really was. 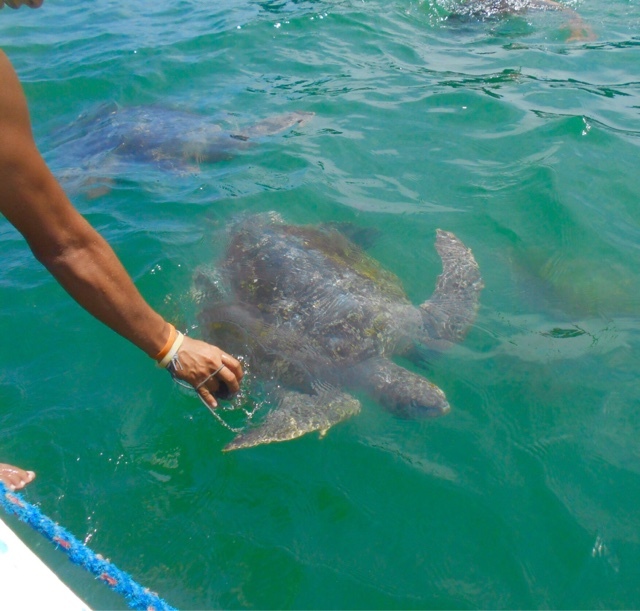 We’d saw some things in Mexico that put us off any boat trip that involved turtle watching but luckily my experience in Isla de la Plata had restored my faith in ethical animal encounters. 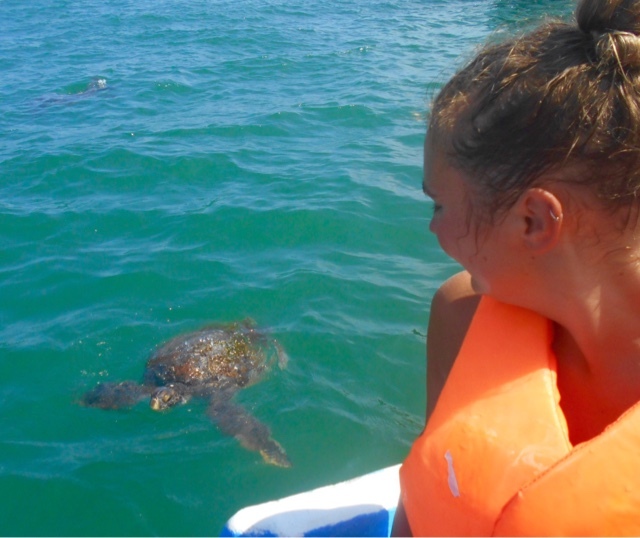 We found out that a turtle watching tour simply consists of you being picked up at your hostel and taken to a popular turtle area then dropped into the sea to float with the possibility of seeing wild sea turtles. The tour takes place in the wild – there are no nets and no man handling of turtles. 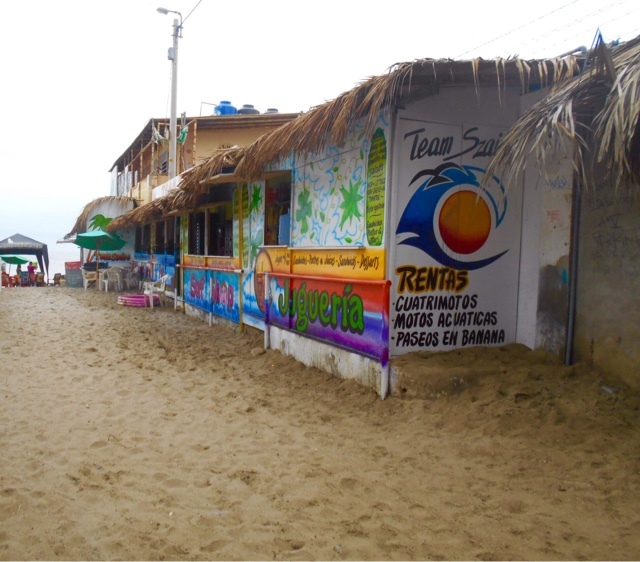 The tours from Mancora to the popular turtle area up the coast cost 45 Peruvian Soles which is roughly $13. I had my reservations at first and worried that if the tours turned out to be something else I’d regret my experience in Mancora. I’m not okay with anything unethical and I would opt to stay in the boat if I felt anything strange was going on and I would feel the need to write a strong review afterwards. Jessie and I after some questioning and debate left the boys on Mancora Beach and booked our very own turtle watching tour. After missing turtle season after turtle season, experiencing the Tortuguero massacre in Costa Rica and being teased by the turtles on Isla de la Plata. I was finally able to watch and engage with turtles in their natural habitat. The turtles being in their natural environment for me is the most important factor. The tour from Mancora consisted of no man handling, no cruelty or so I can gage. A big reservation for me was the idea that some of the people on our boat were unable to swim and appeared unrelaxed and distressed at being so far out in the sea. This could have caused the turtles distress as we were told to simply float and not panic if a turtle approaches us. I believe that when taking part in something like this you should consider the animal and how it may or may not be affected by your presence. 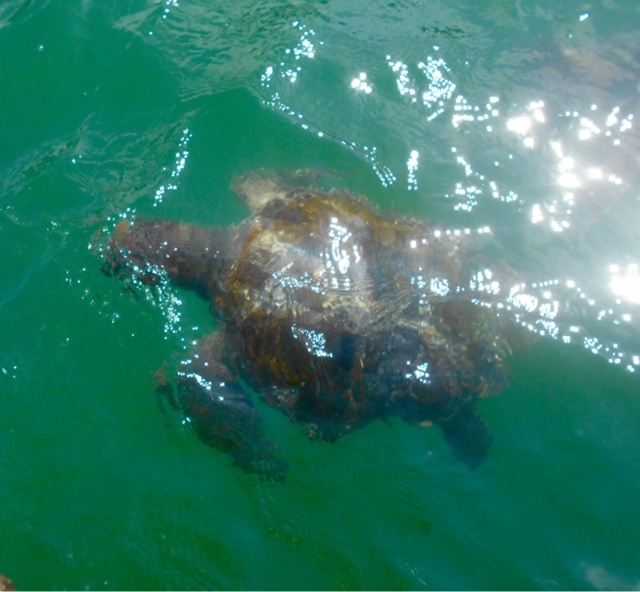 The turtles were at ease with us in the water and curiously came over to see us and left and came back minutes later to have another look. I have a real compassion for animals and I have always dreamed of seeing them in their natural habitat. I would like to point out that these animals were unharmed and came over to us as we were swimming. We were not in a cage and they weren’t brought out of any enclosure. They were simply curious. We were also told that sometimes the turtles don’t come to the boat and people are often left disappointed, but it is up to the turtles. From what I experienced in Mancora the tours are well organised and everything appears to be ethical I’m not sure why there are so many turtles in the area and I hope they haven’t been lured here for the wrong reasons. We were in an open space with no nets or cages and I would really like to believe that nothing of these sorts do actually go on. I would hate to believe that I was involved in something damaging or cruel to turtles. It’s a tricky one because I have never dreamt of swimming with dolphins in an enclosure or feeding turtles in an enclosure but my gut told me this was different.I hope that increased tourism to Mancora doesn’t affect or corrupt these tours. The Peruvian economy is one of the weakest we’ve seen, we’ve noticed from the time we’ve spent here that everything is extremely cheap. With this in mind you can eat very well in Mancora for a comfortable price, $4 for a menu del dia of two courses and a drink. There’s an abundance of restaurants with set menus in Mancora and even the hostels that offer food come at a reasonable price. When we didn’t eat out we ate at our hostel Loki from a large and budget friendly menu. You’re looking at paying 15 Soles ($4.27 US) for two large courses and a drink at most of the restaurants by the beach. Most meals are served with a drink and come with meat or fish – fresh from the ocean and either chips rice or pasta. The drink in Mancora is a delicious maracuya juice (that’s passion fruit to you and I). ✓ Breakfast in Mancora Beach: I’d recommend Green Eggs & Ham for breakfast, slight pricier but on the beach and the best balcony to watch the surfing. Green Eggs and Ham is A quirky Louisiana-style house turned restaurant that serves up a range of delicious snacks and breakfasts, try the battered sweet potato fries there oddly delicious. There’s no set menu but it’s reasonably priced to begin with and maybe the best view in town! People tend to write off little Mancora when they hear about the robberies that can take place or the comparisons made to Montañita. Try it for yourself and avoid the negative associations with crime. Like anywhere if you go looking for trouble you’ll find it. 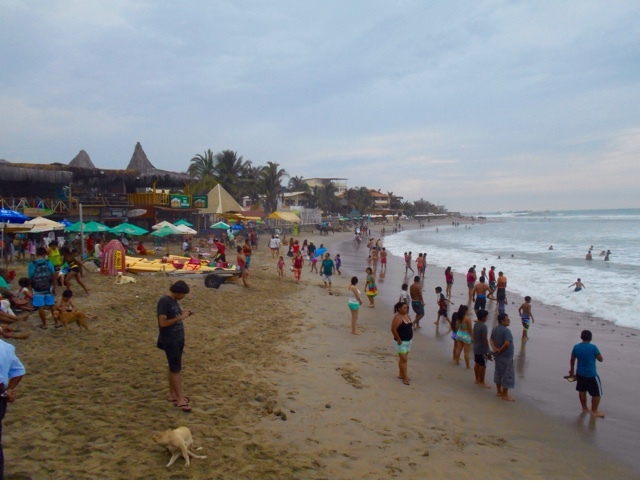 The location of Mancora is extremely budget friendly and there’s always a crowd of backpackers and friendly travellers alike arriving in Mancora at 4am on one of the large late night buses. Mancora is simple compared to Montañita. It’s a pleasant place to spend a few days soaking up the sun, recharging your batteries and dining on Peruvian fusion foods especially considering the majority of set menus are budget friendly. There are little efforts to attract backpackers to this spot, but the streets are always animated with holidaying South Americans from neighbouring nations. The tourism here is thriving and there’s no desire to attract backpackers in their masses. The presence of a chain Loki hostels and Loki Hostel Mancora seems to be for the benefit of South Americans rather than Europeans. Although I’m not complaining after my fun filled time at Loki Mancora despite the lack of other non-South American backpackers. Mancora has its flaws and its horror stories but sitting on the terrace of Green Eggs and Ham it’s easy to forget them. 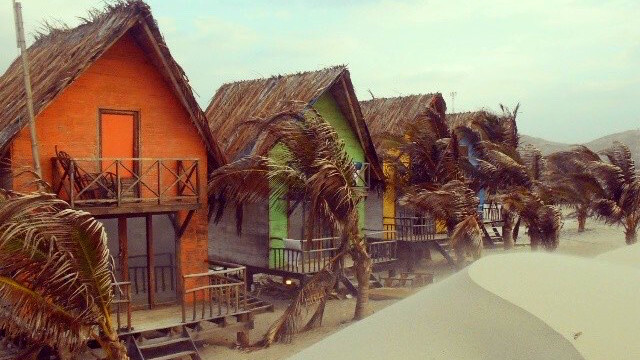 Before you head to Huaraz or Lima consider Mancora, if it’s good enough for the locals it should be good enough for you. And most of all you certainly never feel like you’re on a European party island like Montañita makes you feel.